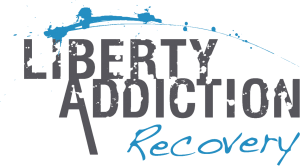 Liberty Addiction Recovery is a Christ centered support group seeking to help those living the life of an addict gain freedom from drug and alcohol addiction. A patient understanding of God’s principles found in the Bible. Hearing the inspiring testimony of those who have overcome addictions through the power of salvation found in Jesus Christ. The caring relationships of those involved in the ministry, whose focus is seeing you enjoy freedom from addictions.